Swiss National Bank, Switzerland’s central bank and regulator, conducted a survey of the payment methods of households in Switzerland for the first time in 2017. The survey provides an insight into the payment behaviour and attitudes of the Swiss population in respect of the various payment options. 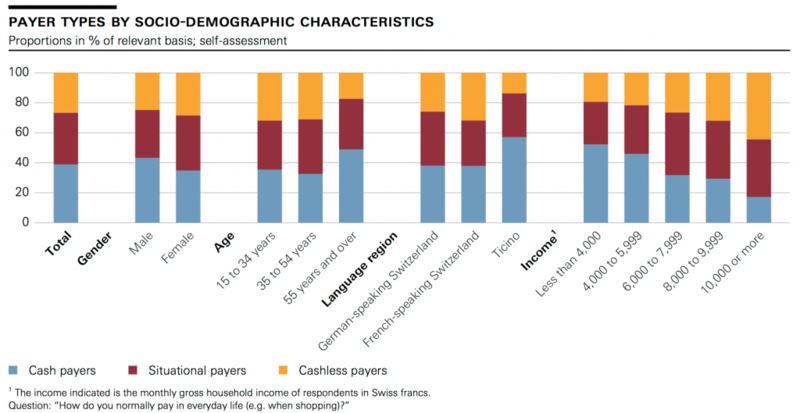 The survey reveals that cash is the most commonly used payment method by households in Switzerland. At the same time, it is clear that they willingly make frequent payments with their Maestro/EC cards or PostFinance cards, whereas other cashless payment methods such as credit cards and newer payment methods are less frequently used. It is also very apparent that the various payment methods complement each other well in different situations. Thanks to a seamlessly functioning cashless payment system on the one hand, and an extensive network of ATMs for the withdrawal of cash on the other, Switzerland offers a supportive infrastructure that enables the population to choose their preferred payment method in any given situation. The findings from this survey are likely to be of wide interest. They lay the basis for more extensive analysis and contribute to an in-depth discussion of questions concerning payment methods and cash usage. Last but not least, the SNB survey provides important information regarding the need for cash and the efficiency of the existing cashless payment transactions system. It therefore helps the SNB to fulfil two statutory tasks of equal importance: ensuring the supply of cash, and facilitating and securing the operation of cashless payment systems. Click here to read the full report (PDF file).